Update: I am still getting "service hybrid system" on the DTC, but it clears and stays off for the drive with the check button. I don't get any other symptoms, but the symptoms I did have are no longer there. I disconnected the 12V battery for 15 minutes in a warm, 60 degree, garage, but the message is still there. 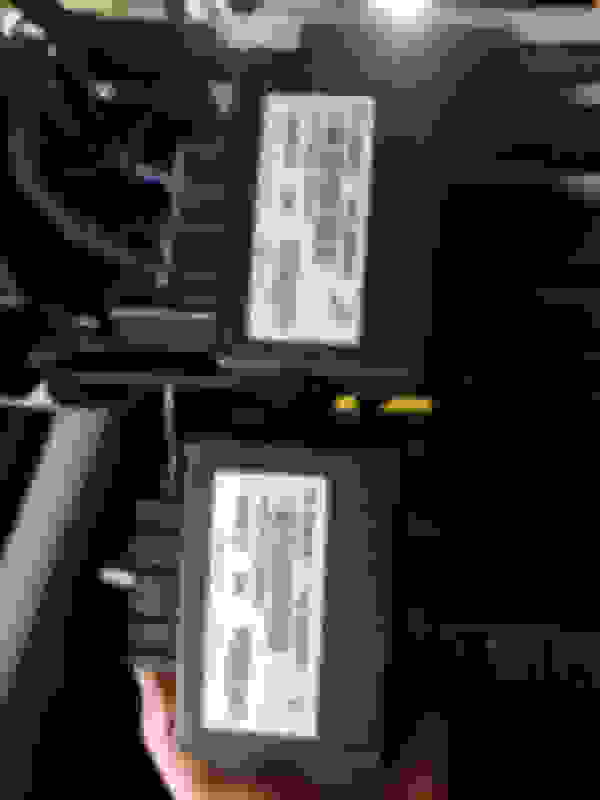 Next is to disconnect the 12V then the 300V emergency disconnect to see if the Serial Data Gateway Module resets. It hasn't been above 51 degrees for 24 hours yet so I don't know if it will clear when the temperature soak is high. The dealer says the SDGM is bad and needs to be replaced, but they are no longer produced so a new one would have to be built for $500+. I can get a salvage one for $100, but they will not program it. The GMC customer care division would not refer me to an engineer that is familiar with the system and said I had to go back to my dealer. This is ridiculous. Since I am not seeing any other symptoms I guess I just have to live with the error message. Have you ever noticed hard steering effort when it is on? Nope no other symptoms. In fact today it was above 51 degrees and message still came on. I think it is ghost message and entire system needs to be cleared of all history. I'm hoping if I disconnect all power from the computers for a period of time they will all reset, but I'll bet there is non-volatile memory involved. Last edited by Ivan Popko; 01-05-2019 at 09:48 PM. After the dealer replaced the APM per the bulletin the repeated messages during the day went away. Now all I have is a one time message at start up that is cleared and never returns regardless of temperature unless I have to restart. I disconnected the hybrid battery and the 12V battery overnight and it did not reset. I'm pretty sure this is a residual message in history, but the dealer says it is the SDGM. Doesn't it require the GMC computer to program the SDGM? The dealer will not program a salvaged one and wants, like you said, over $1000 and would have to have one manufactured. Hi! No, I never seen that bulletin. Guy with laptop, universal programer and gm soft subscription can program with no issues. Mechanical replacement is even easier. Ask your dealer how long it would take to get new module, since I didn't found single new one in whole country.